This is Part 1 (of 3) of my mini-tutorial on the afterthought thumb used in making my Multi-Pane Mittens. 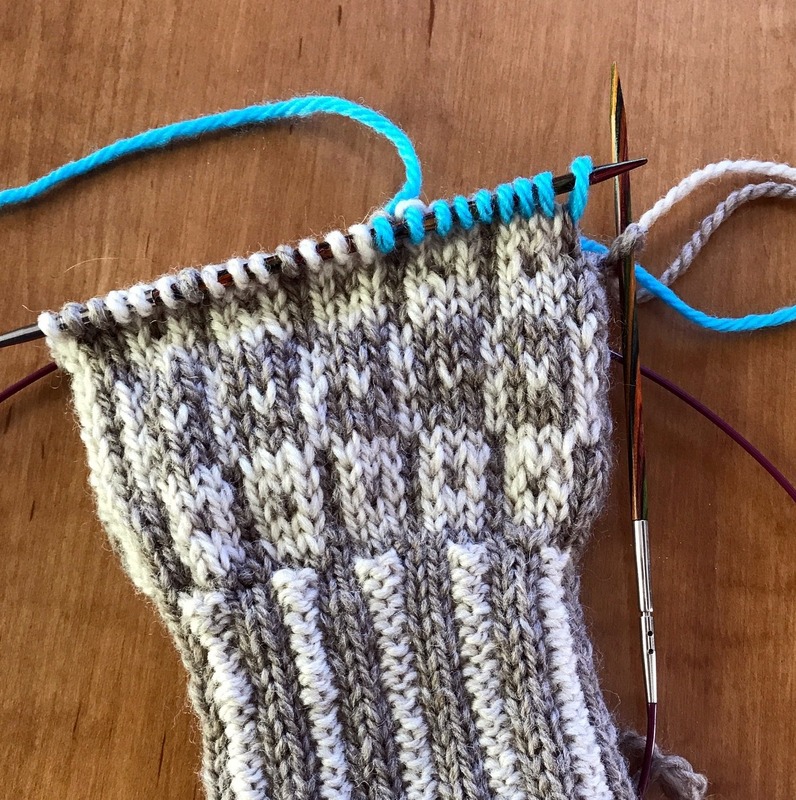 When you reach round 16 of the mitten chart you will cement in place the location of the thumb... A major event in making your mitten... and yet, so easily done. For the same reasons that your right and left mitten will mirror each other, the thumbs will be placed in opposing positions on round 16 for each mitten. In this post I will show photos for the first (the right) mitten in the pattern. 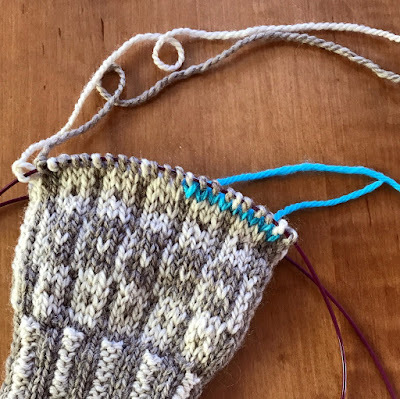 For round 16 of the right mitten, you knit one stitch in color A and then knit 9 stitches with your waste yarn. 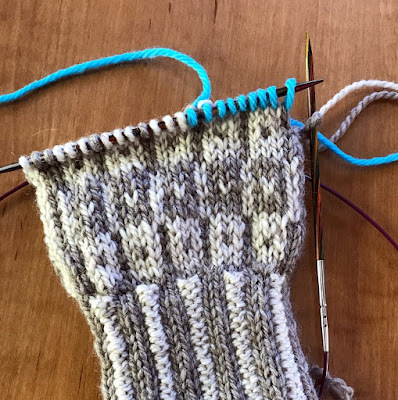 In either case, for each mitten, the thumb location has now been established. 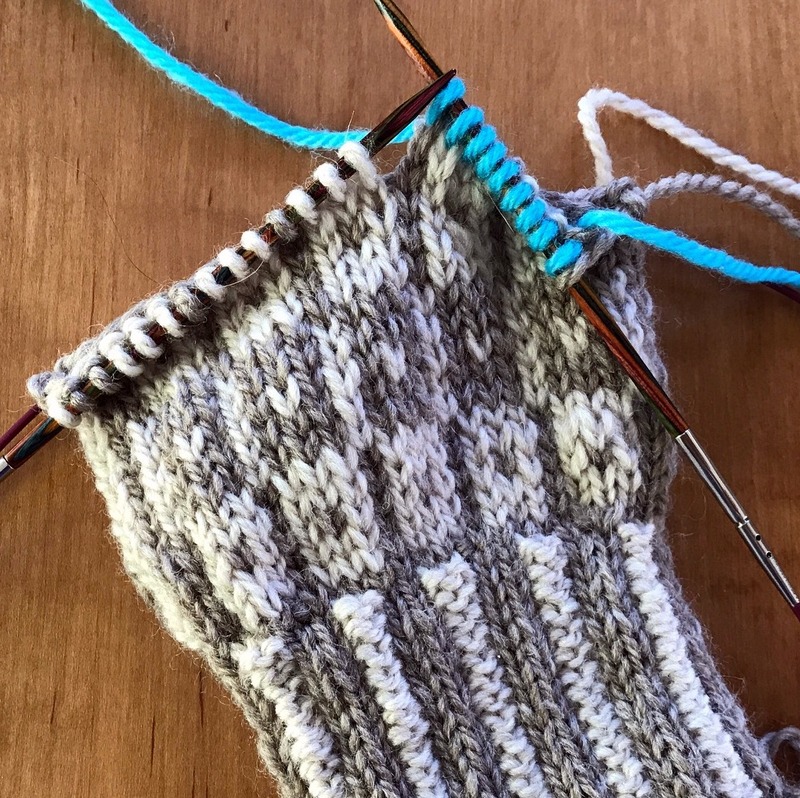 For each mitten the next instruction is, "slip these 9 sts from right needle back to left needle." I recommend that you slip them one at a time, which looks something like this. At this point you go back to following the chart. For the right mitten shown here you begin with the second stitch of of Row 16. 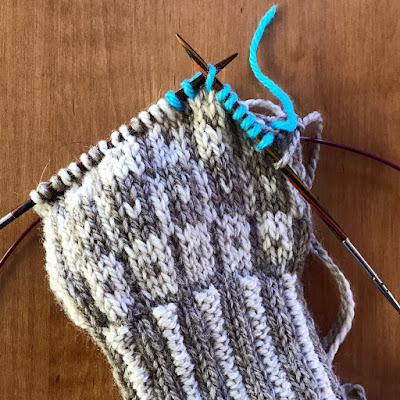 For the left mitten you begin with the fourteenth stitch. You will be knitting into the 9 stitches made of waste yarn. With all necessary forethought for your afterthought thumb accomplished, you can happily knit on to the tip of your mitten. 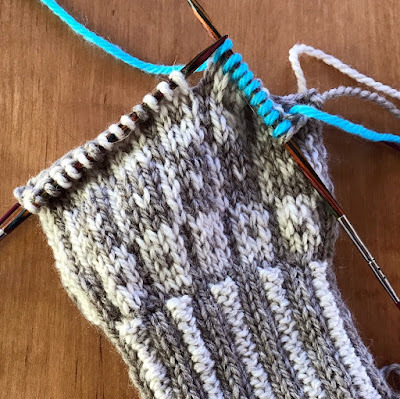 My next post is on picking up the stitches to knit the afterthought thumb.